The ‘ghost bus’ returns – but what did it find? 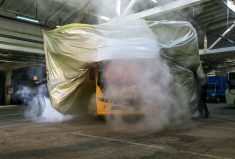 The ‘ghost bus’ – a bus without a driver, which was created to raise awareness about road traffic safety – has returned to Kyiv after its travels across Ukraine. 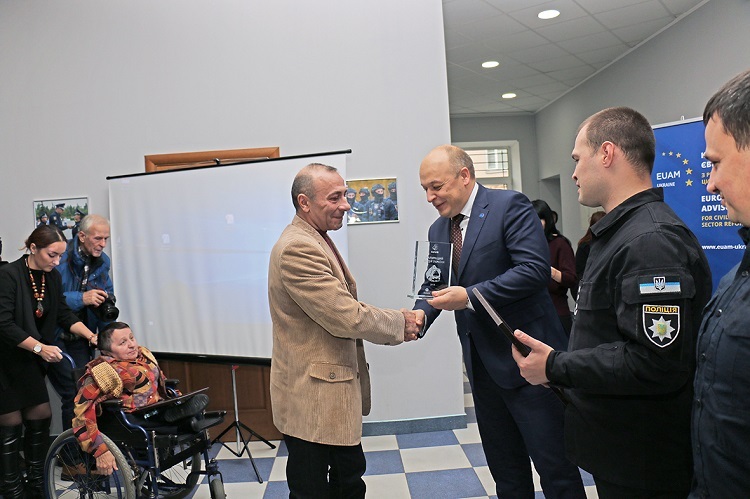 It stopped in Sumy, Poltava, Mykolaiv, Khmelnitsky, Nova Ukrainka (Rivne Oblast) to meet five inspirational drivers, ordinary Ukrainians whose stories behind the wheel provide inspiration to others. 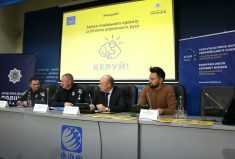 At a press conference in Kyiv today, a further five ordinary Ukrainians were congratulated by Kęstutis Lančinskas, the Head of the EU Advisory Mission Ukraine (EUAM), Oleksandr Fatsevych, Deputy Head of the National Police of Ukraine (NPU), and Oleksiy Biloshytskyi, first Deputy Head of the Patrol Police. The campaign was part of the NPU’s ‘Kerui’ project, financed by EUAM. “Sadly, too many people are still metaphorically absent behind the wheel when they drive. They might be talking on a mobile phone, not wearing a seatbelt, or even driving under the influence of alcohol,” said Mr Lančinskas. 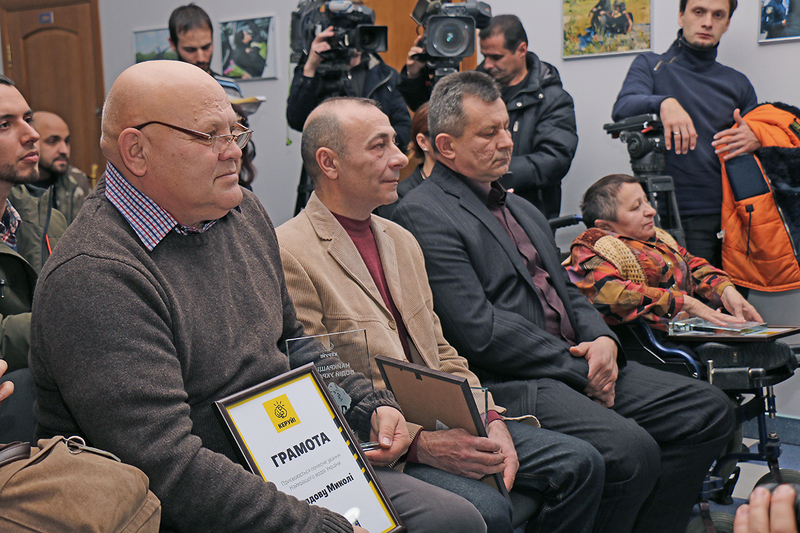 “The bus has travelled 3500km across Ukraine to meet people who are not absent drivers. I would like to thank all the people acknowledged by the campaign for being inspiring figures for their fellow citizens as well the over 1,000 people who wrote to the campaign to nominate their relatives, friends or colleagues for a prize”. 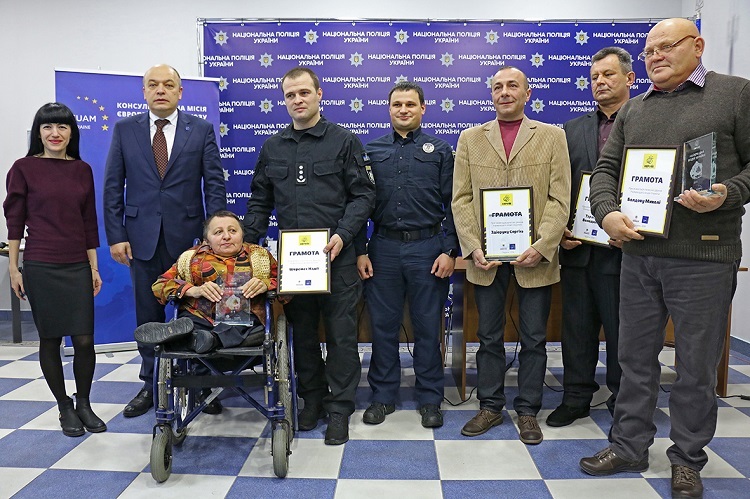 The people acknowledged by the campaign include professional drivers such as ambulance drivers and fire engine drivers, but also people who serve as activists for safer driving in their communities. An important aspect of the ‘Kerui’ campaign is its role as a social project creating grassroots support for better driving. The campaign emphasises positive messages, not least because research has demonstrated that users of social media are more likely to share positive information. The ‘ghost bus’ campaign is the second major action of ‘Kerui’. In November 2017, the campaign launched a video featuring famous Ukrainians from the past as well as modern day celebrities, with a central message that Ukraine has too great a history to spoil it with bad driving. The video was widely shared on social media and viewed by over 1 million people.